Closet organizers are a must-have item for turning a cluttered, ordinary closet into a neat and efficient space. Van Dyke’s Restorers now offers individual closet organizer items including rods, baskets, shoe fences, tie racks, valets, and more. A few well-placed hooks are an inexpensive way to add a convenient way t o hang clothes, purses, and other items. Choose from 1, 2 or 3-hook models in choice of finish. The heavy-duty Laundry Valet is handy for hanging garments in a closet or laundry room. Use it in a mudroom for hanging coats. The valet has a 25-lbs. weight capacity and is available in three finishes. 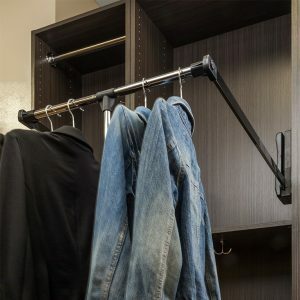 Telescoping Valet Rods are used in much the same way and are the perfect accessory for any closet. Use it to organize your clothes for the next day. Fully extended, it provides 10 inches of hanging space with a 30-lb. capacity. For even more versatility and storage capacity, install a Wardrobe Lift. This heavy-duty unit comes in three sizes and features steel construction with plastic housing. The handle is adjustable for different desired heights. 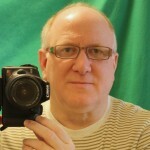 The 45-lb. capacity will hold suits, coats and more. The closet organizer collection also includes a nice selection of closet rods and brackets including round and oval rods and all necessary hardware. Revolving Shoe Racks and Shoe Fences make it easy to store and find shoes. The Revolving Shoe Rack rotates 180 degrees for easy access to shoes. Fences fit on shelves to keep shoes from sliding. Pullout baskets are a popular item in any close t organization project. The metal baskets have a 100-lb. weight load with full extension ball bearing slides included. Add a fitted canvas liner to keep items from falling through the basket. Dovetail Drawer Boxes are another great storage option and come in a number of wood choices and sizes. No closet is complete with a hamper. The Pullout Hamper features 100-lb. full extension slides and heavy-duty wire frame construction. A removable 19-inch nylon bag with ventilated mesh sides is included. 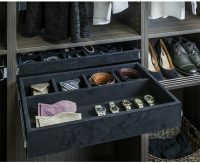 Keep ties, scarves, and belts organized with the Tri-Level Organizer or Cascading Tie Organizer. Our felt lined Jewelry Tray is the perfect way to display and protect your jewelry and is offered in two different configurations: a 5 compartment and 10 compartment organizer. Check out the complete organizer collection by clicking here and start getting your closet in order.